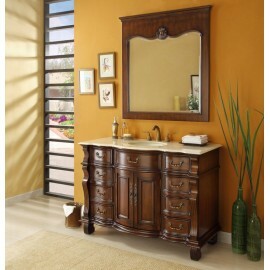 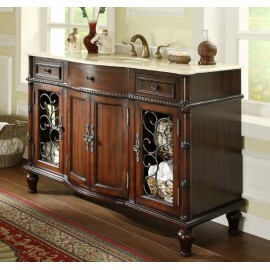 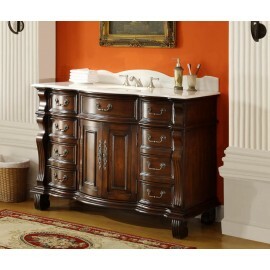 Home » Traditional » 50" - 60"
The Kensington master of the old world look vanity will take the word decor to the next leve.. 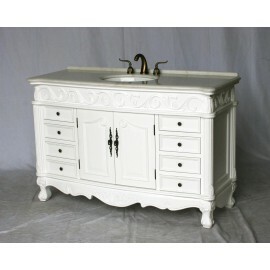 Antique style single sink vanity with imperial white color stone countertop, oval white color porcel..
Vanity 5000-505 BK - 50"
Antique style double sink vanity with black color stone countertop, oval bone color porcelain sinks .. 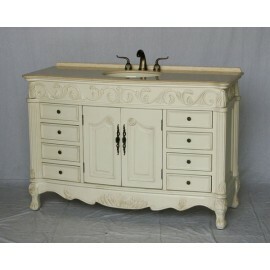 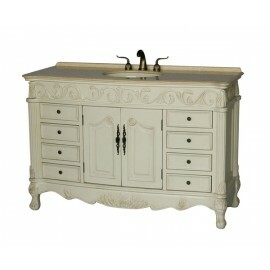 Antique style double sink vanity with beige color stone countertop, oval bone color porcelain sinks .. 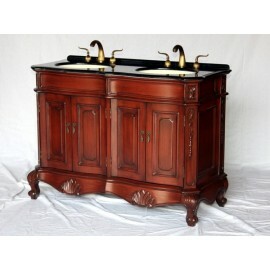 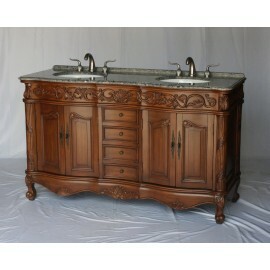 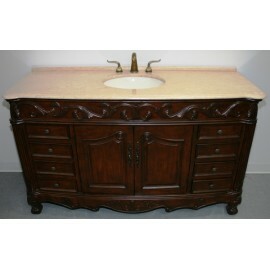 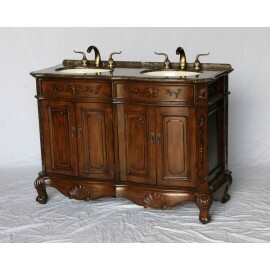 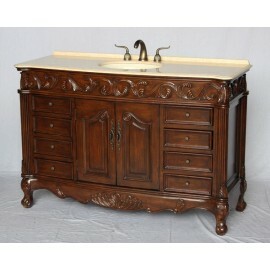 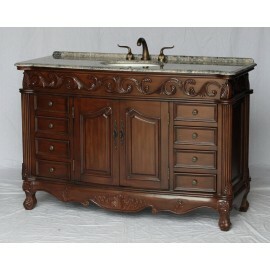 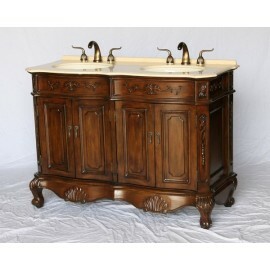 Antique style double sink vanity with light brown color stone countertop, oval bone color porcelain .. 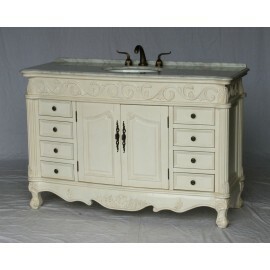 Antique style double sink vanity with gray color granite countertop, oval white color porcelain sink.. 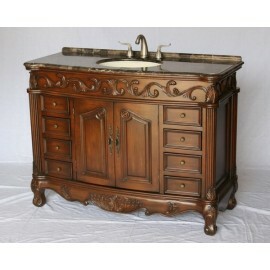 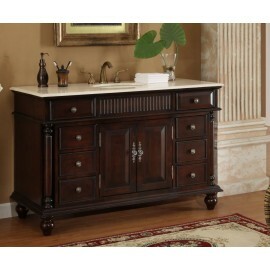 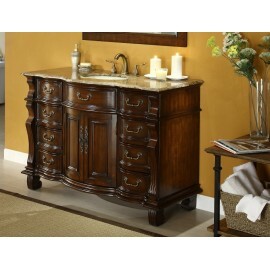 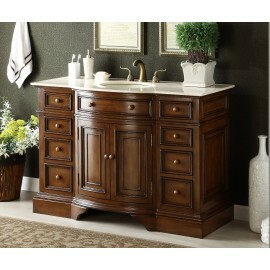 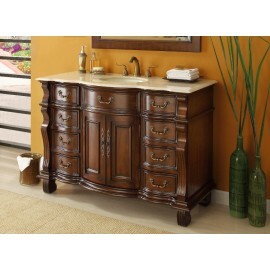 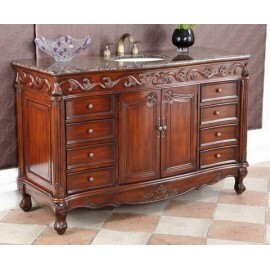 This single sink vanity will be the keystone of your bathroom. 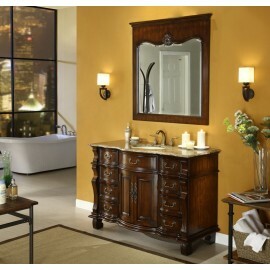 The strong, classic design commands a..